How Can Understanding the Difference Between Active and Passive Vocabulary Help You? We’ve all had that word we wanted to know but couldn’t find it in our brains despite searching and searching. Or worse, we keep coming back to the same word over and over again and still can’t remember the definition. And yet, there are other words we regularly use without a problem. Learning how your active and passive vocabularies work together is necessary if you want to be able to achieve fluency in a foreign language. How Do You Define Active and Passive Vocabulary? Whether you only speak one language or you speak multiple, you have an active and a passive vocabulary. These two collections of words support each other and continuously grow and change throughout your life. But what are they and how are they different? Active Vocabulary: These are the words you know. You do not need to look them up. Their meaning comes naturally to you. You can easily use them to communicate with others. Passive Vocabulary: These are the words you recognize. You’ve been exposed to them and may or may not have a general idea of their meaning. Often, if they appear in a sentence around more common words, you can grasp the meaning. Words move back and forth between active and passive vocabularies all the time. Your passive vocabulary will always be more extensive than your active vocabulary. 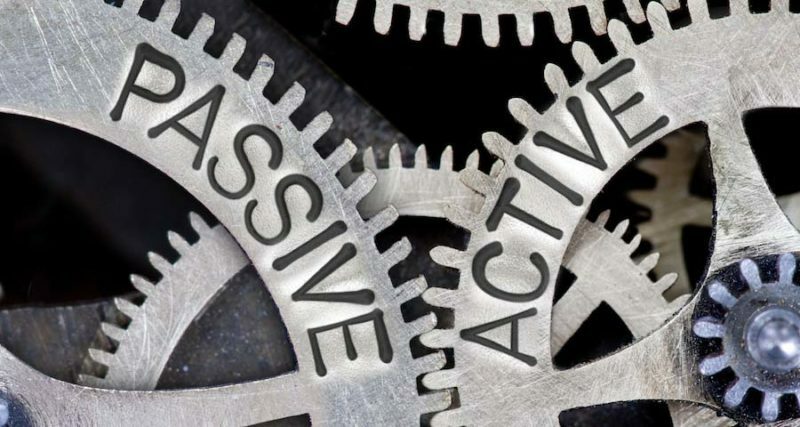 Passive or Active Vocabulary: Which Is More Important for Fluency? Fluency rests on having a large passive vocabulary. Words move from your passive vocabulary into your active vocabulary based on exposure and immersion. And mistakenly, many programs emphasize focusing on developing a large active vocabulary for speaking. However, the result is that the learner suffers from a lack of comprehension. If you want to know how to learn French or any other language easily, then know that having a large passive vocabulary is the first step. The more you understand, the easier it’ll be for you. Increasing your passive vocabulary requires constant exposure to your target language. This shouldn’t be a problem if you’re learning a foreign language because you’ll be regularly exposing yourself to the language. Consistency develops fluency. Exposure: At the risk of sounding like a broken record, read, write, listen, and converse as much as you can in your target language. Word Diary: Make a running diary of objects you don’t remember the word for as you go about your day. When you get home, translate a few of those words down. Continue this throughout the week. Don’t Reach for the Dictionary: Instead of trying to define the word right away, use the words around it, the context clues, to figure out what the word means. Actively Listen: This can be exhausting, but when you’re listening to dialogue or a recording in your target language, focus on the words being spoken. You’ll grow familiar with common phrases and high-frequency words. It’s easy to switch to passive listening, especially when we’re exhausted, but fight the urge. Be Realistic: Native speakers often forget the definition of the words they use. It’s natural. You cannot expect to know them all. Relax: Stress can interfere with the learning process. Let go and absorb the language around you. Don’t Drill Using Lists: Writing down a list of words and reading them over and over again is not going to help you. Remember why we learn a language in the first place, to communicate ideas. You’ll need to use the words if you want them to stick. Be Silly: Memory responds well to emotions and actions. While it may look goofy, acting out words and their definitions can help bring that word to life, making it much easier to remember. Images: Remember that the primary use for words is communication. Connecting them with ideas through images is a great way to make the words resonate in your mind. Mock Teaching: Think it’s easier to be a teacher? Well, when it comes to remembering words, it can be. Give a pretend audience a lecture on the words you’re trying to use in your target language. Explaining vocabulary to imaginary students helps you work out your understanding and allows for rapid recall. Be Flexible and Patient: Language learning programs involves patience. Fluency comes with persistence, but your brain has limits. It needs time to juggle the knowledge and sort it out. Instead of getting frustrated at yourself for forgetting, shrug it off and see it as another opportunity to spend time with the language you enjoy. Understand How Memory Works: Learning how memory works can make studying a more concrete process. You’ll have a better understanding of what’s happening behind the scenes, leading to less frustration as you study and sometimes forget. Pick the Best Resources: If you’re trying to learn French, for instance, pick up a French language book and keep it around with you every day. You can use any extra time to review key words and phrases. Enjoy It: Your mood influences your memory. If you approach learning new words with a sense of loathing and frustration, it’ll be tough to acquire new vocabulary. Adjust your perspective and feel positive about the experience. The more you enjoy it, the greater your success will be. Be open to trying new things and be prepared to be surprised. If you hate reading but love listening to music and watching cinema, then use those methods to develop your active and passive vocabularies. If you enjoy the thrill of a vocabulary drill, then go after it. Don’t force yourself to use a strategy that you don’t appreciate, don’t believe in, or don’t feel will work for you. It’ll hurt your success. But also understand that your memory is fluid. Words will move in and out of your active and passive memory over time and with experience in the language. It’s natural. You can work to improve it, but don’t feel embarrassed or frustrated if you forgot what a word means. It’ll come back to you.